The Social Observatory (SO) is a unit in the World Bank’s Development Research Group. It has worked for seven years with a $5 billion portfolio of community-based livelihoods projects in India. This work combines rigorous impact evaluations with ethnography, process evaluations, and the development of new citizen-led data systems to transform how such projects learn and adapt. This talk reports on some aspects of this work, showing how randomised control trials (RCTs) and ethnographies can be meaningfully combined, and demonstrating new tools to deepen collective action. For more see: http://socialobservatory.worldbank.org/about Vijayendra Rao is a Lead Economist in the Development Research Group of the World Bank. 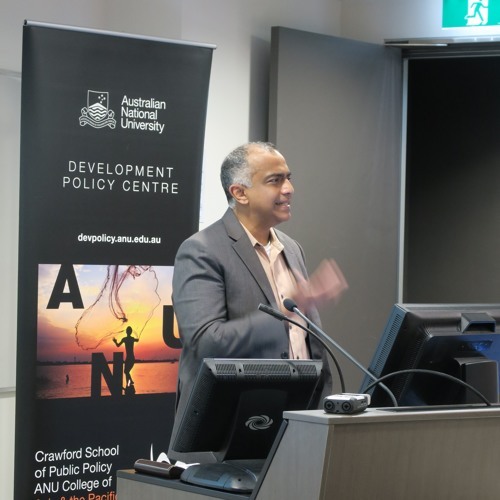 His research has spanned subjects that include gender inequality, mixed-methods, culture, decentralisation, community development, and deliberative democracy. He obtained a PhD in Economics from the University of Pennsylvania and taught at the University of Chicago, Michigan, and Williams College before joining the World Bank.